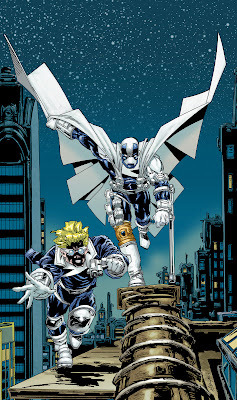 The biggest slice of the Valiant news pizza at NYCC 2013, is the fact Baptist pastor / writer Christopher Priest and artist Mark Bright are heading back to tell a tale set in original Quantum and Woody continuity, titled Q2: The Return of Quantum and Woody. Set twenty-ish years after the end of the original series, this five issue mini will see the creators tackle their fan favourite creations, with all the action, adventure, and inadvertent humour the original was famous for. Just sorry, no goat. Having found a way to undo the curse of their former bonds, the two heroes struggle with reuniting, having spent so much time apart. Woody has renounced being a hero, yet upon finding Quantum has a new teen sidekick feels urged to get in touch and show his old friend how reckless his actions can and could be. 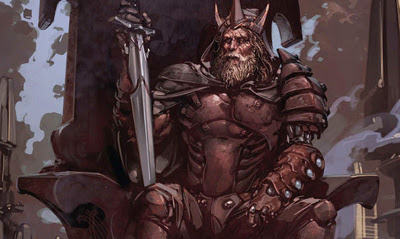 The next juicy slice given to fans was that Eternal Warrior #5 will start an arc reintroducing Valiant's infamous 4001 AD timeline, home of Rai. When asked if the defender of the futuristic and sentient Japan would return, Executive Editor Warren Simons responded coyly "maybe". Maybe means yes!!! I mean, how could they not? It was IMPORTANT. It sure was Random, with Dynamite unveiling new ongoing series for some of the former Valiant hits, ruling Magnus out of contention, it's now streamlined the candidates for Valiant's next wave of titles. Rai has to be the one remaining with the biggest groundswell behind him. Hopefully that will bare fruit soon.